We are a church that seeks to tithe at least 10% of our overall annual budget to other ministries who are work building the kingdom of God. We have organized our support into three major categories that define our partnerships: ﻿Local ﻿(Anchorage), State-wide (Alaska), and Global Missions. Below you will find a list of those we support as a church. If you'd like to learn more about them, click on the picture and you will be re-directed to their website, blog or email. A portion of our giving goes to the coordinated budget of the ECC, the denomination to which we belong. 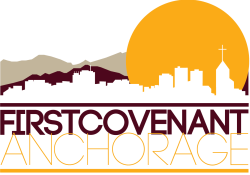 The Alaska Conference (AC) is the regional association of local churches of the Evangelical Covenant Church in Alaska. LOVE INC - Love In the Name of Christ is a local clearinghouse that assists churches in ministering to neighbors in need. AFACT: Anchorage Faith & Action - Congregations Together is a coalition of local churches that seek grass-roots solutions to issues of justice and inequality. This shelter ministers to the impoverished and homeless in the community and provides educational and counseling programs as well. This Covenant Radio Station, AM 850 and ICY 100.3 FM, located in Nome, AK spreads the gospel throughout western Alaska and the Russian Far East. Covenant MERGE Ministries assists churches going on Missions Trips to partner better with local churches in meaningful Ministries. Our support is designated for Kate Cannon, trip facilitator for Alaska. 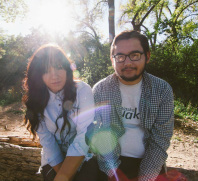 ACC is an accredited Christian College primarily for Alaska Native students that seeks to empower young people to succeed academically, professionally and as devoted disciples of Christ. Many of our own students have attended ACC over the years. Mission Aviation Repair Center serves primarily the churches of Western Alaska by assisting with flight travel for pastors and churches whose villages can not be accessed by roads. Our support is designated for Joel Oyoumick from Unalakleet who is one of MARC's newest pilots. Covenant Bible Camp in Unalakleet serves primarily the youth of Western Alaska. Many of our students have attended camp here as well over the years and continue to do so. David and Brittany Beltz serve with YWAM (Youth With A Mission) in Colorado Springs, CO. Click on their picture to email them so you can subscribe to updates from them! 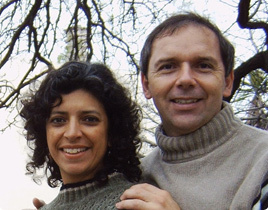 Lisandro and Patricia Restrepo are Covenant Missionaries serving in Oaxaca, Mexico. Covenant World Relief specializes in disaster relief and community development on behalf of the poor, the powerless and the marginalized. Mahabibo Kely Church in Mahajanga, Madagascar is the local church attended by our own Jonathan and Mandy Casurella when they serve as missionaries in Madagascar. We are exploring potential partnership with this church with their help.